From the comments on Huw's article, it seems a fair few Bricksetters will already attend. Very eager to find out what @Huw is currently building and will bring with him, and I hope to meet many of you there! From the event page I also learned that Sophie has started something similar to @SirKevbags' Fairy Brick, called ToverBlokjes. Make sure to contribute if you attend! I commented on that article that I thought I could attend but upon further investigation with google maps I am going to still be roughly 8 hours away so sadly it won't work out for me. Apparently, including the tunnel crossing, I'm about 5.5 hours away. I'll be bringing a section of railway. I also noticed you're part of the jury judging the 4th Creator Build competition at the event. 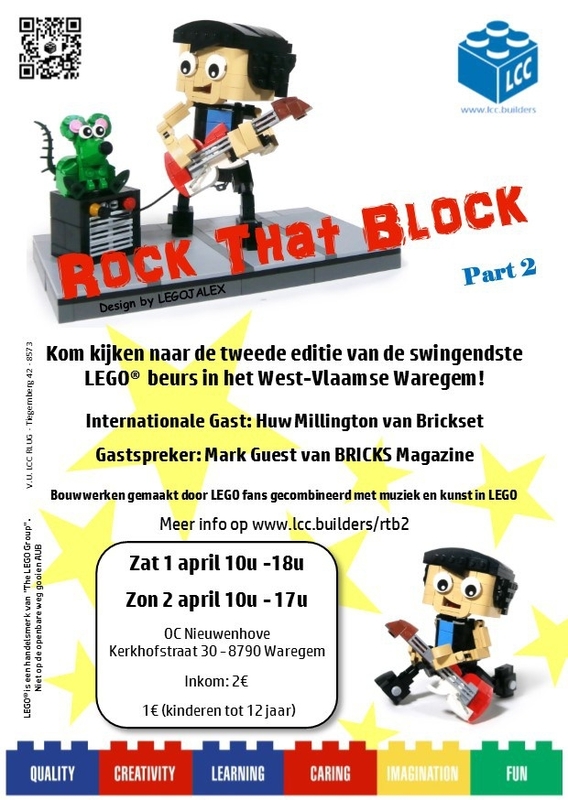 It's quite likely me and my two boys will attend, we live only about 25 km from Waregem. yes, Huw will be exhibiting, you'll find him close to the club stand. This year we'll have both of the halls that will be filled with some awesome LEGO displays! And we have been selected by LEGO to be one of the 9 events worldwide that can run the Creator 4th Build competition! Everyone is free to join that! I'm hoping to come along too, but quick question, will it be feasible to get around most places with a wheelchair? That should be possible yes, there are no stairs anywhere and the space between the stands should be big enough.